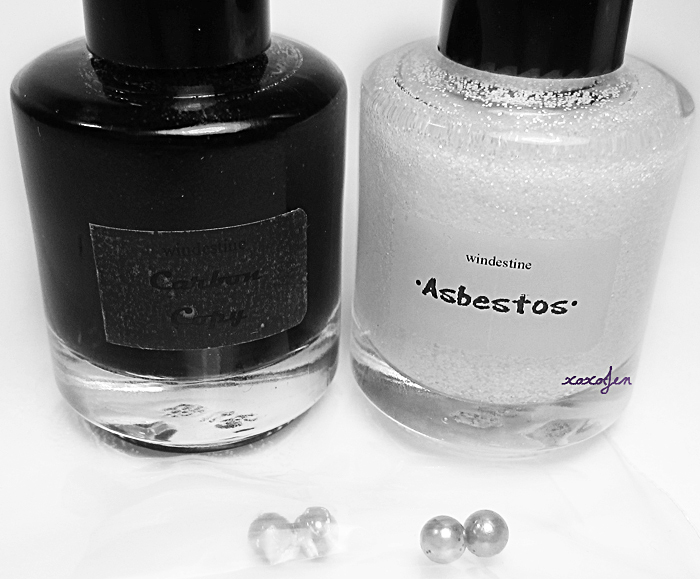 I was so taken by Chalkboard nails photo of Windestine's black and white polishes that I had to have them! They've arrived and had their balls removed because Freda sent a proactive email to let me know that the balls were not stainless. 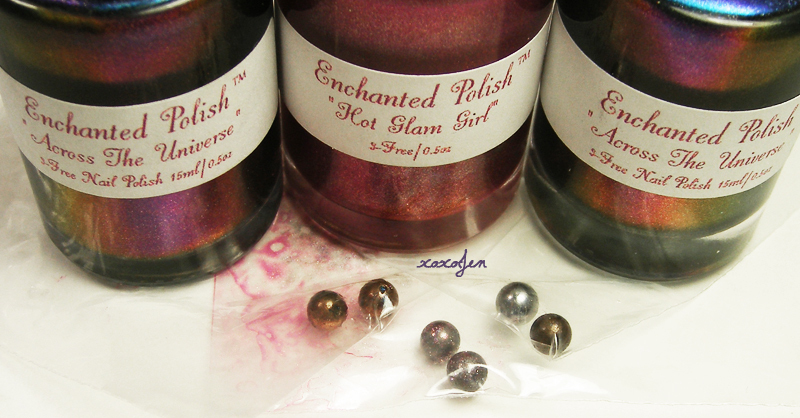 Non-stainless balls will corrode over time and ruin the polish. This rarely happens in the indie world any more, but if you're buying second hand, this article may be helpful to you! I also removed them from my Enchanted polishes. The best way I have found to remove the balls is take off the lid, cover the bottle opening with a plastic baggie or saran wrap, place a strong magnet over the opening to sort of seal it. Holding the magnet against the neck of the bottle with your hand turn the bottle over and listen for the balls to click to the magnet. Tip it back over and carefully pull the magnet away from the bottle neck, and bag up the balls. It takes about a minute and is virtually mess free.